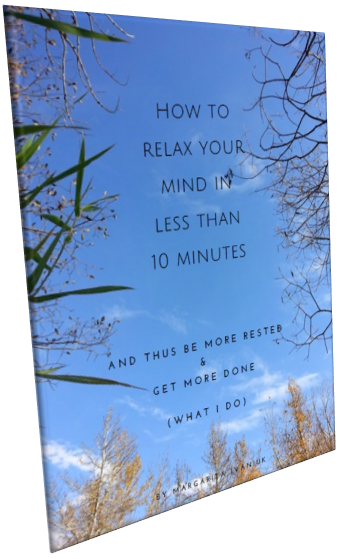 This raw energy bites recipe is great if you are looking for an energetic beautiful fix. These delightful bites will walk your tastebuds through the pleasantries of the winter season: crunching of the snow, refreshing cold, the richness of tastes in front of the fireplace. What’s nice, is you don’t have to feel guilty if you eat more than you should. That’s because when you run to your kitchen to make these you will be soaking most ingredients. Which means? Theese treats are gentle on your digestion. On top of that, you will be using coconut oil, which gets converted directly into energy. So? 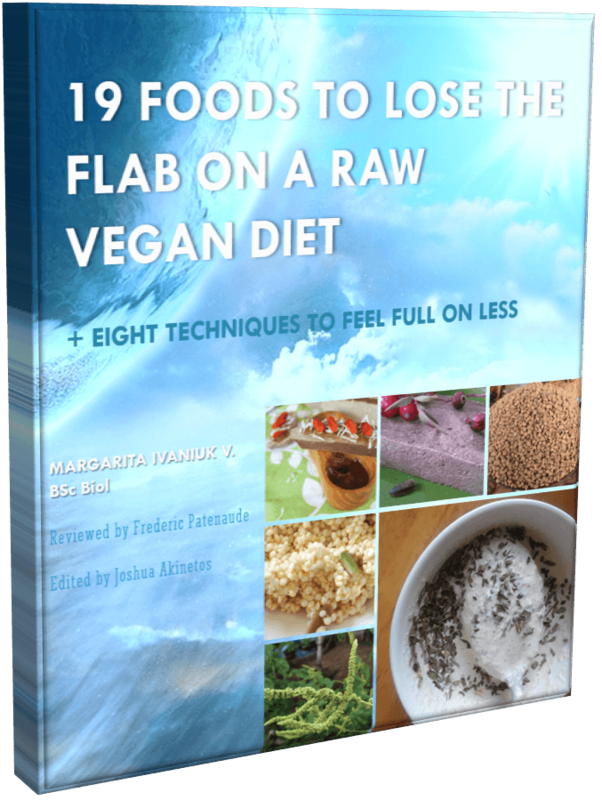 No sluggishness or extra pounds – only blissful yumminess. Place teff flour into a bowl, add lemon juice, and just enough warm water to wet the flour. Leave overnight on the counter. Place filberts into a bowl, add salt, and warm water to completely cover the nuts. Leave overnight on the counter. 1. Put coconut oil into a small glass bowl and melt it by submerging the bowl in hot water. 2. Place soaked teff flour, dates, vanilla extract, and 4 tablespoons of melted coconut oil in a food processor. Add just enough filtered water to be able to blend until smooth. 3. Cut figs, filberts, and goji berries into small pieces. 4. Place all the blended and the cut ingredients into the same bowl, add 1 tablespoon of whole teff grain, and mix everything. 5. Roll the resulting mix into inch-sized balls. If the mix is too liquidy, add a little bit of dry teff flour. Then dip each ball, first, in the remaining melted coconut oil, then in the whole teff grain. 6. 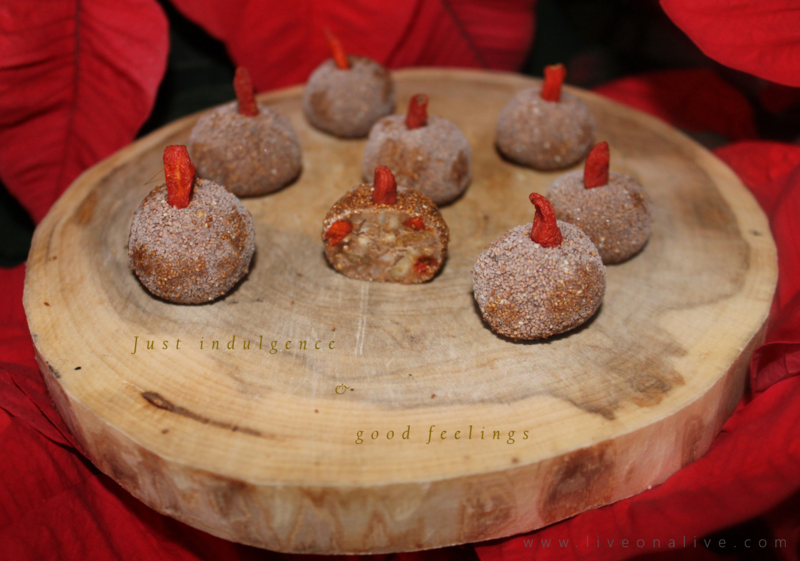 To make the bites look lovely, top each ball with a dry goji berry using its pointy end. Place the balls on a plate that you are going to serve them on, and put in a freezer for at least 1 hour. Serve without touching the bites with your fingers!